The Eagle and Badge Foundation is a philanthropic organization created by the members and supporters of the Los Angeles Police Protective League that funds community and special projects throughout Los Angeles. The Eagle and Badge Foundation is an IRS-recognized 501(c) (3) nonprofit, charitable organization that provides Benefits and Scholarships to Los Angeles Police Officers and their family members. 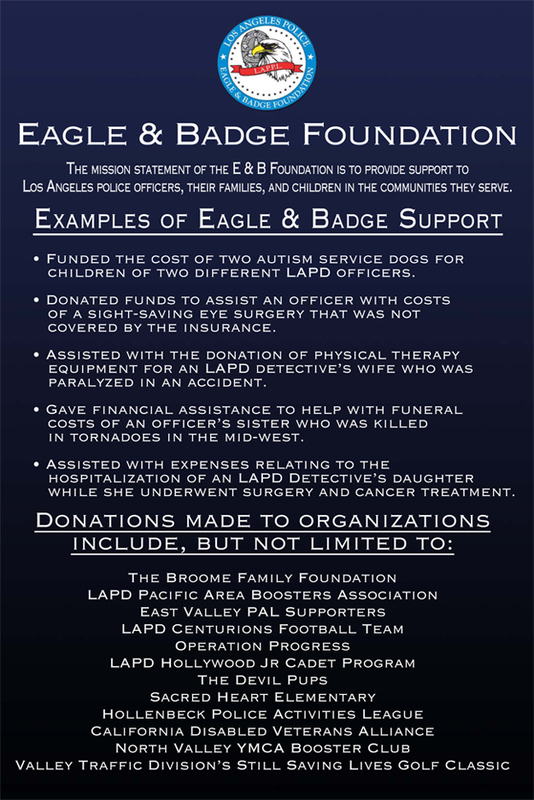 Since the Eagle and Badge Foundation was founded in 2001, the members of the Foundation's Board of Directors have provided assistance to current, retired and fallen in the Line of Duty LAPD employees and their families. For eight years now, the important work of the Foundation has been enabled through the generosity of individual donors and volunteers and by institutional grant funding. The financial support provided by individual donors enables the members of the Eagle and Badge Foundation's Board of Directors to assist numerous worthy LAPD family members each year. Donations large and small positively impact the lives of the men and women of the LAPD and their families. By donating to support the Eagle and Badge Foundation's programs, you have the opportunity to make a direct and tangible difference in the lives of the men and women who work tirelessly to maintain the safety of Los Angeles. The donations made to the Eagle and Badge Foundation are directly applied to providing financial assistance to LAPD families in need. The Foundation's beneficiaries serve as living testaments to the very real difference the contributions our donors and supporters make. The members of the Eagle and Badge Foundation's Board of Directors and Foundation staff work diligently to insure that the Foundation is operated as wisely and efficiently as possible and that our operating costs remain below nonprofit norms. The Eagle & Badge community involvement program is based on the philosophy of operating and giving back locally. In our experience, we can do the most good by supporting issues and causes that are important to LAPD officers and their families. 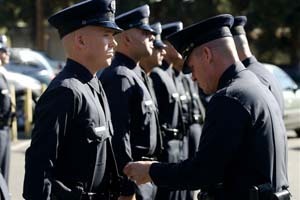 We rely on LAPD officers to know which organizations are the most critical to their communities, and we empower them to help the Board of Directors determine how Foundation dollars will be spent. 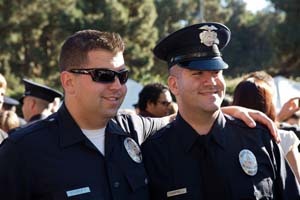 Consequently, LAPD officers channel our funding initiatives directly into their local communities.